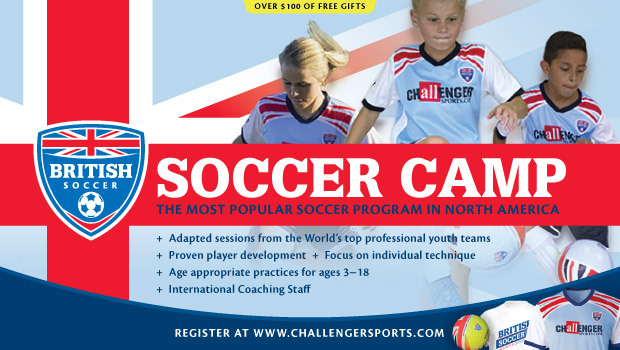 Do you have a soccer loving child? My daughter’s favorite sport is soccer and it is something she truly enjoys. Last year was her first time attending soccer camp and we started out with a half day British Soccer Camp. 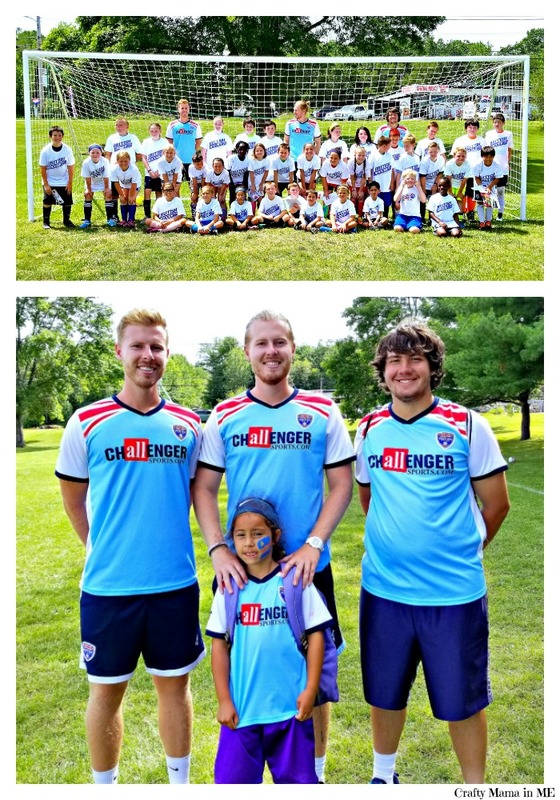 This year she attended a local half day camp right after school got out and then moved up to the full day British Soccer Camp a few weeks later. 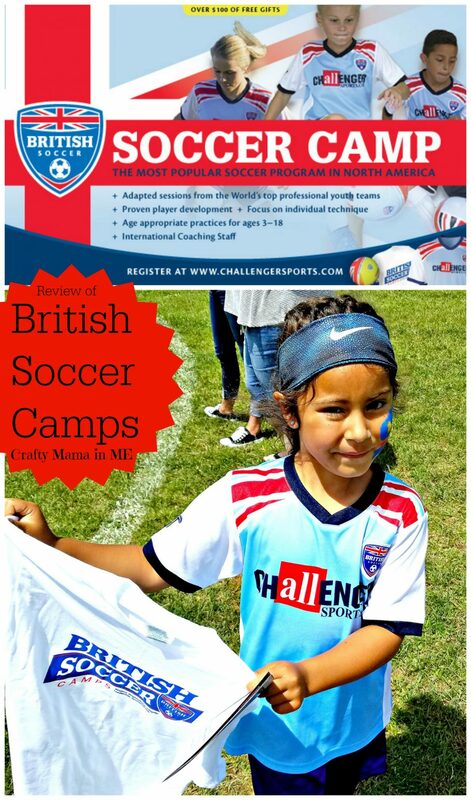 Read on for my review of British Soccer Camps. The first day the kids were split into 4 groups based on their ages. The half day kids were in with the full day kids for the morning session and departed at lunch time. The kids were assigned colors to wear for the rest of the week and told about the theme for the next day. The full day kids had a break from 12pm-1pm for lunch. At 1pm the kids started back up working on more advanced skills and scrimmaging more. My daughter is seven and still struggles with confidence. She gets easily frustrated when she can’t complete tasks and can shut down or burst into tears. This year it was amazing to see the difference in both her skills and her confidence from last year. We were lucky and she ended up with two of the same coaches from last year at her half day program. They remembered her and I think that helped make her feel more comfortable. There were three coaches and by the end of the session they all knew my daughter’s name and had such great things to say. The coaches at the British Soccer Camps have all been very great with the kids – they help challenge them in a safe environment and also help build them up. The kids in my daughter’s group were also great – she was one of the youngest and definitely not at the same level as some of the more advanced players but they helped and encouraged her and that really made a difference. In the last game of the week they all helped her score a goal and it made her so happy. I am thrilled with the total experience – the coaching staff, program, and other participants were all amazing. I really enjoyed reading the feedback that Chloe’s coach provided at the end of the week. My daughter’s confidence soared and she learned a lot of new skills that she will be able to apply in the soccer season this fall. She can’t wait to attend another British Soccer Camp next summer! Find more information about British Soccer Camps today!